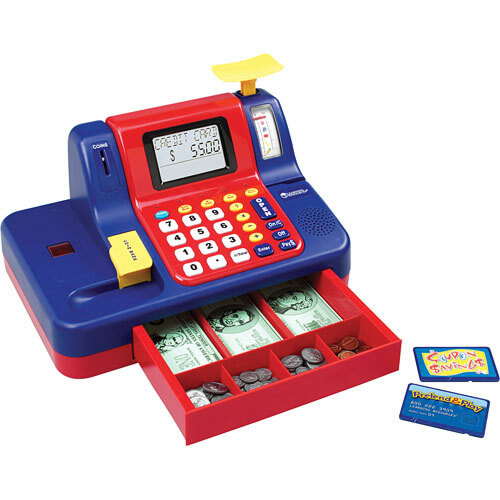 We just can’t list all the benefits of this talking, interactive cash register. What fun kids will have “playing store,” while learning critical thinking, math, counting, social etiquette, money recognition and so much more. There are lights, sounds, voice messages, learning games and play money–and if that’s not enough, add in a built-in scanner, scale and coin slot. Sold! Requires 3 C batteries, not included. From Learning Resources for ages 3-9 yrs.